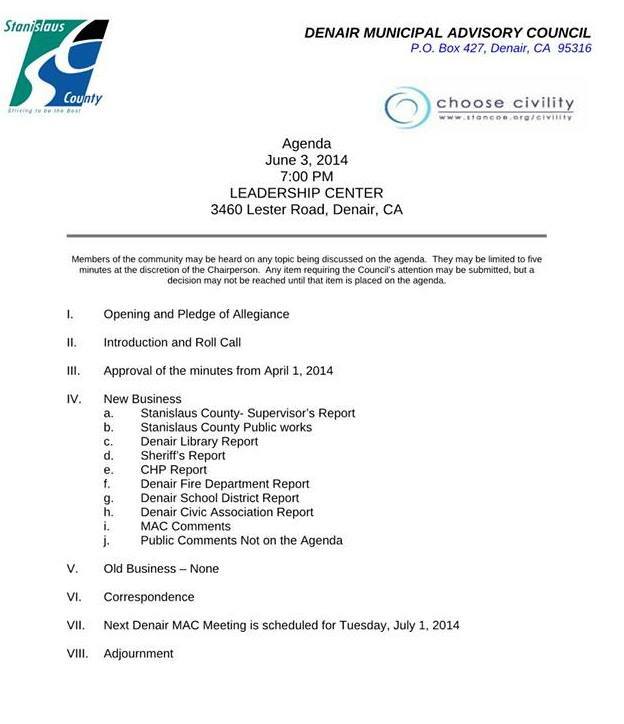 The Denair Municipal Advisory Council will be meeting Tuesday, June 3, 2014 at 7:00 pm. The meeting will be held in the DUSD Leadership/Board Room. 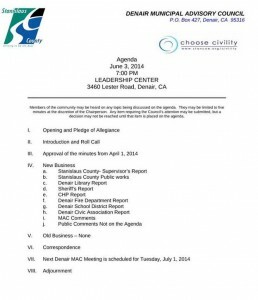 Posted in News and tagged Denair MAC, Denair Municipal Advisory Council.